Bret discusses new laws in 2019, Karen talks about the importance of women being involved in their retirement plans, and David goes over what to expect during a complimentary consultation with Thrive. We’re coming off of what I thought was a great discussion last week. There was a great example by Bret, which allowed me to live in the moment of what information we were discussing. We were talking about it and I think that was really, really good stuff. I agree. It always amazes me what we get to do across the conference room table with people and the impact that we can have. And referencing that show from last week, I think it’s really a good idea in the weeks to come. I would really hope our audience continues to tune in, because I think our show will get better and better. One of the things actually we’re going to consider is devoting a couple of shows, the entire show from start to finish on taking our listening audience through the process of what it’s like to sit through an appointment with us. And I think there’s so much lesson learned. Even if you never end up sitting with us, if you hear the questions the circumstances, the scenarios that get addressed at the conference room table, I think that’ll be very empowering. 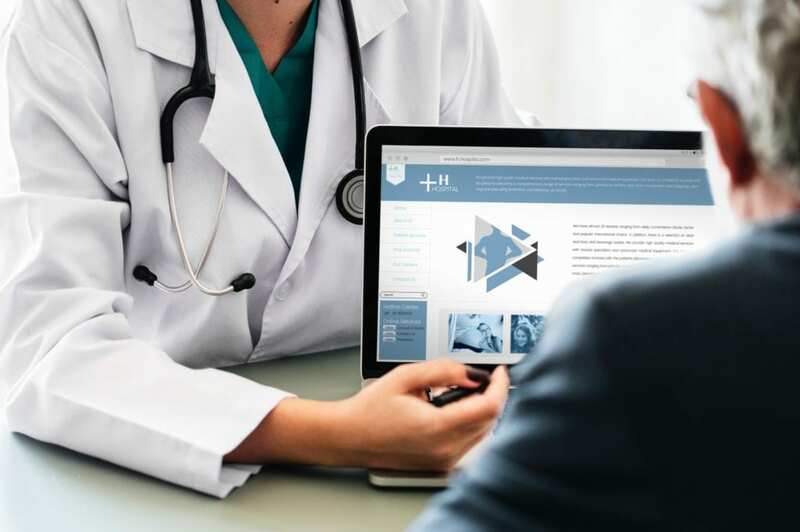 Because most people walk into an appointment with us for that second opinion Thrive Retirement Roadmap Review, with an idea in their head of how they want to do things. And that idea of how they want to execute the retirement has been conditioned through traditional wisdom, conventional wisdom. What I’ve heard on the radio, what I’ve read in the newspaper or magazine, what my financial advisor has talked about. I saw something last Friday on an appointment that I did, and this was a wonderful couple. He was 64, she’s 63, he’s already retired, she’s about to retire. Their biggest concern was could they stay retired? They work with a fidelity advisor and I personally was just blown away about the level of low quality advice that had been given to this couple. From no information related to Social Security, very minor conversation related the taxes, the stress analysis that was done for this client. Well, the client actually told me they’re using a 5% calculation on withdraw rates, which is well above what is classified safe. And then a portfolio. So they’re already not paying taxes, and then they’re investing in something that doesn’t have any taxes, which you end up giving up some of the yield, some of the return because you’re doing it in a tax free. So I looked at this client who was very committed, convinced to a degree confident that their future was bright and that was really based on a very flawed plan. And I think for us if we dedicated an entire show where we could go through that appointment or that type of an appointment where you can hear what most people think and then what our response is to fine tune those retirement plans, I think that’d be a really wonderful thing for consumers. Let me quickly bring Bret Elam in. Bret, get get down to the nuts and bolts of what you do. More workshops, more information, and a great week, this past week, on your tax efficiency in retirement workshops. Yeah and I’m also going through another example, just like David, of someone that we had met here recently and just starting to put some of these puzzle pieces together that we’ve spoken about in recent weeks. And Kraus with what you just started with, what David had said, where you were talking about, “Hey, it’s just like retirements within inches.” Is how awesome would it be if you’re the head coach of the Eagles and you get to play Monday morning quarterback. And that tells us we get to describe what we do. We can see things that are going to happen that you can continue to play that game. But what if we can do well enough upfront that we can go into the last couple weeks of the season and be on a bye week, if you will. Rest all the starters because we’ve already done what we’ve had to do and we don’t need to take all those risk anymore. So I’m going to chat about that a little bit throughout today’s show. Thank you, and welcome back in, to Bret Elam. We welcome of course, as we always do, our Thrive Army into the conversation as they continue to grow and continue to refer and continue to talk about Roadmap to Retirement. We also continue to talk about Bret, the power of the workshops, the complimentary workshops which really are incredibly meaningful and educational. Once you get an opportunity to learn or to absorb some of that information at the workshop, then it gives you an opportunity to understand your topic or your conversation or your own personal information and how it applies. We hear oftentimes from people that come in through the Thrive Retirement Roadmap, is they thank us for actually fulfilling on what we say we’re going to do. There are so many times that people talk about education and advocacy, then they say it, somebody comes in to go through that experience and they find themselves stuck on a sales job all over again. And it’s something that we constantly hear when people come in and meet us saying, “I appreciate everything that you had done.” I had met a client out in the Chester County area and when they had come in for a second opinion. Life was good, they’re working with one of the big brokerage firms in the area. Just coming in for a second opinion. Mr. had recently retired and Mrs. was still working. She was going to work for another two years. And she had an earnings of about $40,000 a year. And again, just to set the stage for the client, about $1.5 million in assets, no pensions. That’s a big deal. And we’ve talked about this, especially in last week’s show, with so much volatility going on out there in the market, it’s this investment or that investment or this investment or that investment. I met this client initially, starting in the beginning of November, we’re now sitting here in the middle of January and the markets moved around a little bit in between. So, when we got back together on the second appointment and we started chatting, this is something that I brought up. Risk is for people who don’t have what you have, your job is to make sure you don’t lose. So, one of our tools that we use is something called Riskalyze. With these clients, we had entered their holdings of about a million and a half dollars into the Riskalyze tool. We were aggressive, and we had initially met as well, they were also aggressive. Okay? But when we went and did a real stress test to their portfolio saying, “The way your portfolio consist today, if it were to go through a similar experience, 2008, this is what correction you would have gone through. Is that okay with you?” All of a sudden you get a pregnant pause, if you will, and it was like, “No we’re not okay with that.” We share with them it was going to be a 46% decrease on their portfolio. For these people, one the important things I started off the conversation with was, they have no pension. Meaning their assets were going to serve as a major portion of what they were going to live on top of Social Security. It was Social Security and their assets, that was it. Live life stress free, and let us take care of your financials! And just to follow along there, that was off of the need of about $7,000 a month. That’s exactly right, and now Mr. is not working and Mrs. is only making 40,000. So, conventional wisdom says, “Mr. turn on your Social Security.” And we said, “Stop.” But I want to go back to that in just a moment. So when we got to that Riskalyze, we saw that their portfolio was aggressive by all means. And when we went ahead and after we identified that. So, we go ahead, and we stress test, David just spoke about some of the guidelines that another client had used. But when we stress test their portfolio and share with them, if they went through two declines like 2008, maybe like what we’re starting right now, they run out of money at the age of 82 years old. That was eye-opening with them. But what we had also shared was from a Social Security standpoint, which they had been down in Social Security office because Mr. just retired in the past couple months. And they said, “You guys are on your own, filing for your own benefits.” Now, he’s 65, she’s 63. And I’ll remind you if you’re new, as well. If you were born in 1953 or before, that is the last year that people can take advantage of what they call the restricted application as it relates to Social Security. So what we had shared was we wanted Mr. to hold off on his Social Security benefits to November of 2019 until he was 66. Okay? And if he could hold off, he would be entitled to what they call is a restricted application. Now, Mrs. It said to start her benefits. However, she was still working. Normally you do not collect and work at the same time. We waited until the year in which she hit her full retirement age. Because we actually said, “We want you to wait until January. You can start your benefit. So, you will have no penalties. Now Mr. can apply for his benefit, all while his benefit compounds out to age 70.” It’s such a big deal as relates to Social Security. So many times, so many people that come in, there’s no more chances. I can do anything with Social Security. It’s not right. We love educating people on that simple subject right there as it relates to Social Security. Because it’s a domino, it’s a foundation of what people work with. Joe, do you see the complexity of that? You hear a lot of this for the first time, you were part of these conversations. And that’s the typical result that we would get. But the fact that the confusion can be put to rest, because we can explain and show that process, our audience should understand that most people are not even having that conversation to even get confused. It shows that there’s all kinds of options that are not being discussed. There’s very specific strategies. It’s not just this random choices that cause people not to optimize the retirement. Especially when you talk about Social Security Day and a guaranteed eight percent growth every year, that was pretty darn good. in today’s interest rate environment, that is another reason why we want to maximize that Social Security. So, with them, we want you to spend down a little bit of your assets during this first year. It’s going to be painful, but as the years go on, we’re going to be picking up your wife’s benefit, then your spouse will benefit then your full benefit at age 70 day, we’re going to be using less and less of your assets but not being afraid to do it in these early years, because when we talk about tax efficiency. These next seven years, the lowest tax rates in the United States history is being able to take advantage of that and maximize a Social Security benefit. Because for them they don’t have a lot of Mulligans, they don’t have that four or five $6,000 pension check where if the market doesn’t do well, it’s okay. They can’t afford tomes up. It really is an eye-opening example for the listening audience. Don’t be afraid, number one. Don’t be afraid to find out and that starts with the workshop. That’s where the information begins, and we’ll get you thinking. Take the information that’s provided and know that it’s going to be customized to you. It’s so important. Again, it’s what we have our passion for. Education, education, education. Again that’s why if you’re looking for a flaming young, don’t come out we only have cookies and coffee at our workshops. But again, if you’re looking for continued education as it relates to retirement, again you can meet us at one of the workshops. You can always visit us at Meet Thrive, meetthrivefinancial.com. You can always call us at 1-800-516-5861. But again, you don’t know what you don’t know. And if you’re a member of the Thrive Army, if you’re reading and you’ve been to a workshop, pass the information along to one of your friends, one of your family members, one of your neighbors. It is so important. Well done. Great job by Bret Elam. Karen Bezar is now here with us, welcoming you into the program. I like what you said in the opening segment, you’re going to focus on women today. Yes, good morning. And just so you know I much better finances than I am at football. We’ll have to talk about that. So, the reason I’m going to bring up women again, it’s a new year, time to get refocused and maybe set your goals for understanding what’s going on in your family’s finances a little bit clearer. I’m meeting with a woman who’s 80 years old, and her husband died three weeks ago, and she’s very upset. She’s very concerned. She doesn’t know which way is up at this point. So she’s going to come in and meet with me to start with, and then we’re going to take it from there. But I cannot tell you how frustrating it is for me, when I sometimes meet with just the husband of a husband and wife couple, and he says, “My wife has no interest in that.” Well, I’m here to tell you, you really should take an interest in it, because statistically speaking, you’re going to outlive your husband. So you really better have all your ducks in a row. Women have specific challenges. One of the challenges is we live longer than men. 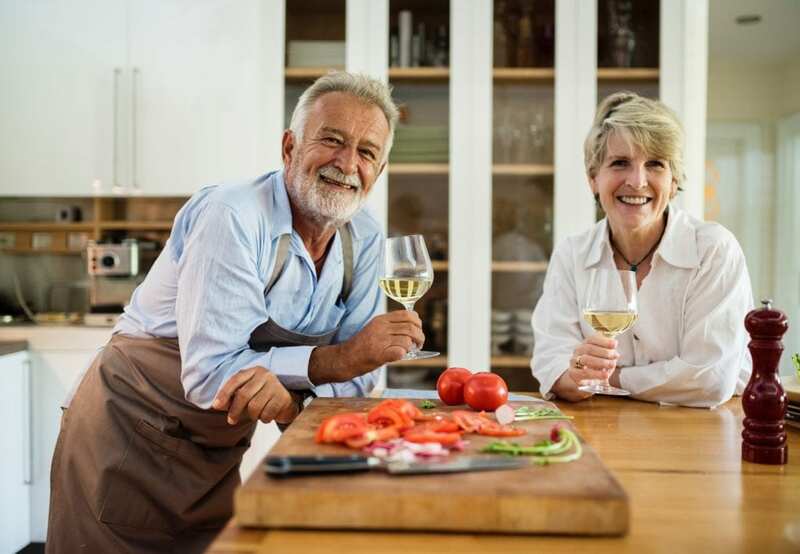 Statistically speaking, women reaching age 65 are expected to live on average two or more years longer than their male spouses. They may be forced to live with the financial decisions made by their husbands unless they are involved. Our goal is to get you involved. And also women out there who are listening, there’s a great publication or a company, not a company, what would you call it? Association. It’s called WISER Women. It’s Women’s Institute for Secure Retirement, totally nonprofit. And their goal is to help women out there retire successfully. Many things happen even when you’re married, right? approximately 50% of all marriages are ending in divorce. Probably higher than that now. And two thirds of all women over age 85 are widows and one third become widows before the age of 60. And why is that important? What I’m going to talk about a little bit. And I touch on briefly, Social Security and widower benefits. And you know my contribution to this conversation, because I’ve had my mother-in-law as an example. And her husband passed well before she did, and at the moment of his death, or shortly thereafter is when my mother-in-law at that point had to begin. That was her starting point. And she managed to work her way through it and make mistakes along the way, but I can with some firsthand degree of real definition, I really can comprehend and understand where you’re going with this. Right? It’s very important to me for us to get that message out there, and please take a look at your finances as a couple. One of the things we do when we meet with couples is a very important part of our financial planning, which is filling the income gaps. Specifically, when one person passes away prior to the other. One area where we find is an issue sometimes is either wrong pension choices, which means they chose no survivor benefit. We also have come into now people getting married in their 60’s already chose their pension benefit, and there are no surviving benefits. All that has to be taken into account. People sometimes forget. Yeah, you have two Social Security checks coming in, but one’s going to go away when one person passes away. Yes, you keep the higher of the two, but how is that going to fit into your planning? And the other thing we like to do is make sure assets are protected so that they last surviving spouse as well. Bret referenced it in his example. That language tells me that that scenario in all probability applies to every couple. Right. So if you’re married and you are a widow or widower at age 60, you’re eligible to take your survivor benefit if you so choose. I’ll read it so it makes clear sense. You have the option to file a restricted application. And if you do that, you delay filing your own retirement application based on your own earnings. And that will increase your income by 32%. And if you’re going to, at age 70, you could live another 20, 25 years in retirement. so 32% increase on your monthly benefits is a big deal. It’s just knowing the rules. It’s just knowing what’s available and whether it applies. The challenge is that we see most people not asking the question or not asking multiple questions. It almost feels to me as though a heavier percentage of people don’t know the rules. We don’t know them. Even if we want to know them, we don’t. Yeah, I mean, where’s the information? Number one. And what instigates us to try to figure it out? Especially with Social Security, right? Most people think it’s age 62, 66 or 70. Those are the milestone ages because of what we heard and what our parents did. But the reality is it’s a complex decision and it’s a critical decision. Right. And just also want to put this out there. If you’re the divorce spouse of a worker who dies, you can still get the benefits of the widow or the widower benefits providing your marriage lasted 10 years or more. So, if you’re divorced and after age 60, if you’re remarried to somebody else, you can still claim those benefits. There are lots of ins and outs and that’s why you need to meet with somebody because you can get the benefit, but how much of the benefit is going away? How’s it going to affect your taxes? Well, guess what, we can figure that all out for you and that’s what we’re here to do. And you say meet, and I say meetthrivefinancial.com as a resource for people to get to know you Karen, get to know David, get to know Bret, and really a good starting point for people to go to just understand who you are before either coming to a workshop or coming into a meeting. But good stuff today by Karen Bezar, and I think your focus and your attention to women which started back in 2018, we’ll hold true in 2019. We will walk you through all the necessary steps for your retirement. We turn now to David Bezar, who’s going to finish up. David, what’s on your mind? What’s on your agenda today? Which direction will you take the audience? Yeah, I thought what I would do is maybe a little bit of a continuation with one of the clients that I visit. I think this will be maybe one of the things that we try to do on an ongoing basis, where we could take some time, dedicate a whole show to a Thrive Appointment. So, let me talk about this couple real quick Joe. This was somebody who visited us up in the Indian Valley area, had a financial advisor, a husband who has already gone into retirement, and a spouse who still working in a part-time business. They’re not collecting Social Security right now. They’re living off of their savings and whatever the wife’s business is bringing in. The income is varying every month and it’s not causing them to feel confident, right? It’s just, “I’m spending down.” They got about $1.1 million in assets, which is a nice nest egg. Their expenses are about $6,000 a month. So, we at our office, we get to visit with people, 15, 20 times a week. So what’s new for the folks coming in is old hat for us. Now, we don’t treat it that way. Every person gets 100% of our undivided attention. It’s kind of like Groundhog Day in the sense that we wake up and it’s a new day, even though it’s the same old. And we treated that situation. So we get to see it. And you get this intuitiveness where we now know what the balance is, right? Between what somebody’s expenses are and how much they have in retirement assets. And the variables being, do they have a pension? Are they maximizing Social Security? Are their expenses low? Are their expenses high? Do they still have a mortgage? Do they not have a mortgage? Those are things that we can quickly assess. And basically make an initial determination in our own minds that this retirement’s on track or this retirements off-track, okay. And as soon as I sat down with these folks, I kind of knew retirement was a little off-track, even though that was not their point of view at all. They felt a little nervous about the month to month. And that’s why they wanted to turn Social Security on right away. And when I saw it, no pension, one of the only things that’s guaranteed income is Social Security. So our strategy is always to first and foremost, look for a way to delay Social Security as long as possible so that we can build up a higher benefit amount because it’s guaranteed income. And we also take into consideration that Karen was talking, the surviving spouse which statistically is women. And we want to make sure that their quality of life is sustained at that higher level versus having to adjust to make modifications and all of that. Does that make sense? So, we’re looking at this particular situation and again, they were ready to take Social Security next year. One of the first things that we did with this particular client was assess their tax situation. And through assessing their tax situation, we saw that they were going to be in a very tax efficient, almost at a zero percent tax bracket through most of their retirement. Because remember, when we sit down with people, we actually explain how the marginal tax rates versus the effective tax rates work. If you look at a typical married filing jointly tax bracket form, what we find most people do is they’ll find how much income they’re bringing in on an annual basis, and then go down the chart and wherever that kind of fits in, they’ll go across and see what the corresponding tax bracket is and assume that’s what they pay in taxes. That causes a little bit of a problem for a number of reasons. Number one, is it causes people to withhold too much money out of their Social Security checks, too much money out of their required minimum distribution checks. And if they have a pension, maybe too much withholdings for that. Because even though their income bracket, their tax bracket may be 22 or 24%, that doesn’t mean that’s actually what they’re going to pay in taxes. Because how the tax code works is that families get a $24,000 standard deduction. 24 for now according to my tax expert who put the fingers up for me, I appreciate that Bret. 2019, we get the increase. And then, Bret, what’s the over age 65 standard deduction? That did stay the same at $1,300. At $1,300 per person, right? We did the cash flow analysis, and the result was that we want to actually delay Social Security for both husband and wife as long as possible. Because of our analysis that came out to 68 and 67 and that means up until now, right? From today, until those ages they do have to withdraw money out of their retirement assets. Well, long story short is they not only had qualified retirement assets, they also had some Roth IRA money and they also had some cash sitting and savings accounts and money market accounts and things like that. So again, traditional wisdom and traditional conditioning by financial advisors is, “Do not touch your IRA assets until age 70 and a half, when you are required to take those minimum distributions.” Or what we call unconventional wisdom and conditioning is, let’s get to them, balance it, right? Take some from your cash bucket, take some from your Roth bucket, take some up from your traditional IRA bucket today to make sure we’re covering that $6,000 a month expense and delay Social Security. And then when we get out to those ages, let’s turn on Social Security, reduce the amount that we’re withdrawing, but you also have to understand because of the strategy we just talked about Joe, is we probably have reduced the principal balance in the IRA, the traditional IRA. So when it does come time to take the required minimum distribution, we’re required to take less which again, means less taxes. So by doing this type of a strategy, we’re able to kind of get everything accomplished, where we’re meeting their $6,000 monthly budget routinely, confidently. We’re being incredibly tax efficient. We’re improving our future taxation and we’re improving the amount of Social Security benefit that we get over time, which then bolsters up the survivorship benefit. So somebody who walked through our door who was basically the complete opposite through this education process, through this illustration process was now able to see that through analysis, we came up with the best math equation. And it made full sense though, and they started asking questions and some of the questions that they asked were, “How come my financial advisor didn’t tell me this?” And I said, “Well, that’s certainly a question for your financial advisor.” Which is the same I would say to our audience. Then a question came up, “Well, how does my investment portfolio look.” And because my financial advisor adjusted accordingly for market condition so we would be much more protected. Well, they went from about a 60-40 split of equity stocks and bonds to 20% stock 80% bonds. The challenge we have with that was twofold. One, with potential interest rates rising, having that much in long-term duration bonds, maybe not the best idea because of interest rate risk. As interest rates rise, value of bonds come down. So we talked a little bit about that. But then the other peculiar thing is they had a big portion of their bond money sitting in tax free municipal bonds. If you’re in a pretty much one, two three percent tax bracket, we don’t see any true benefit of owning tax free municipal bonds. I’d rather just own the municipal bonds where I’ll get a higher return, because I’m not going to have to worry about the taxes. So again, we brought all this to light it really created a ton of questions and ultimately they decided that they wanted to do business with us. They asked us because they could see the value that we created. And that is an example that ends with the story that you have professed since we started. 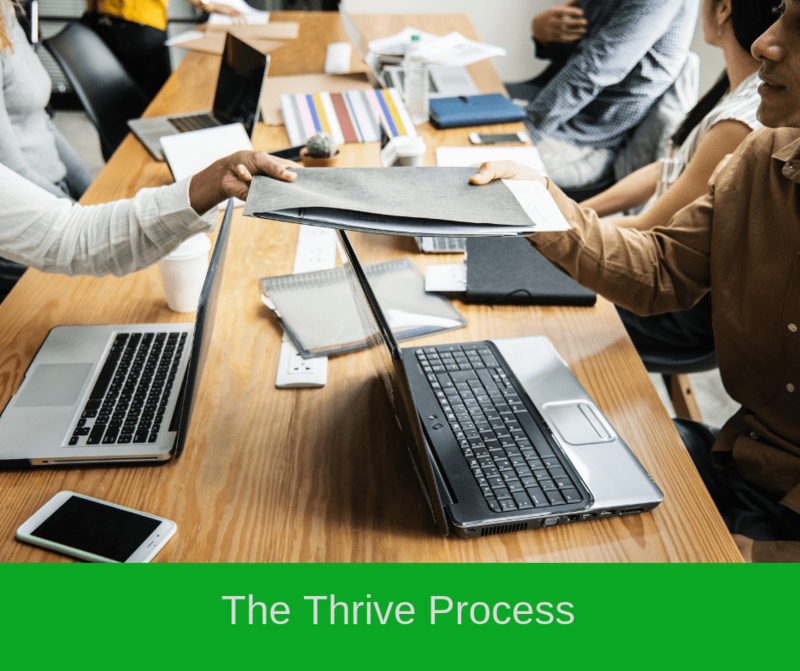 If after consuming everything and the information you want to do business with David Bezar, you want to do business with Karen Bezar, you want to do business with Bret Elam and Thrive Financial, you asked to do it. That’s that’s an amazing thing by you. Good job by you. And the illustration shows, as we conclude today, it shows, and it highlights what I’ve tried to say all along to the audience. It’s okay to know or to be smart enough to know what you don’t know and get educated from Thrive Financial Services. On that note, we will conclude this weeks blog post by thanking the Thrive Army for their continued support! We hope you learned some things you didn’t know previously, and if you have any questions surrounding your own personal financial situation, do not hesitate to get into contact with us for a free complimentary consultation at our Fort Washington office.